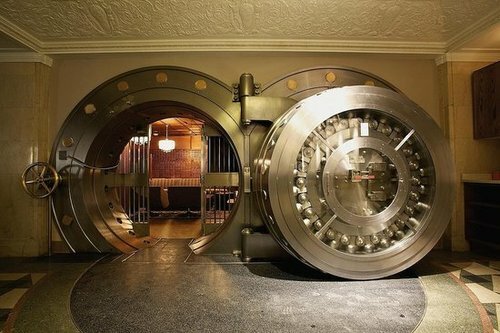 This is the entrance to the vault room at the Bedford in Chicago, IL. The restaurant is built in an old bank building in incorporates the bank features into the interior. The name pays homage to Bedford, IN where the building’s outer limestone originated.